I. A plain or simple fact is uttered with emotion. What a wit you are! A proper exclamation usually consists of words with meaning. II. The structure of an exclamation gives it force. A. An exclamation may be abrupt. B. It may be inverted. C. It may be elliptical. III. An interjection is a kind of exclamation. 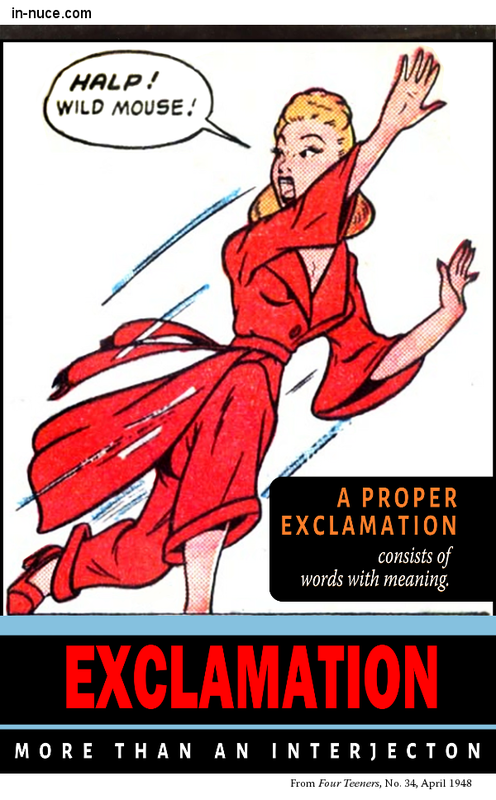 Interjections are not figurative language, yet they are all exclamations. Exclamation is a figure only when what would otherwise be a plain declarative statement is expressed in an exclamatory and emotional form. Most interjections have no meaning except as indicating sudden emotion.